McGinniss is an American writer who, in 1994, suddenly and inexplicably developed an obsession for soccer. When he heard about the miracle of Castel di Sangro in a soccer magazine, he knew he had to write about it. Castel di Sangro is a small town in the Abruzzo region of Italy. The miracle was their soccer team's ascension from the lower level C1 to Serie B, the second highest professional football league in the country. Now their biggest challenge was to remain in Serie B. What follows is McGinniss' account of his season spent with the Castel di Sangro team. John Doyle of the Globe & Mail has said that McGinniss' book is the best soccer book ever. I can't agree or disagree since I haven't read a lot of soccer books, but I really enjoyed it. The hapless players of Castel di Sangro will remind many readers of the Toronto Maple Leafs with their poor defense, shell-shocked goalies, and an intractable owner who is literally able to move mountains. Add an irascible coach, a meddling president, and some questionable wheeling and dealing, and you get a story that is by turns funny, absurd, scandalous, and heartbreaking. It is also passionate and reverential in its love for the game. More than a money book, Joline Godfrey's guide is an important parenting book that should be in every home. She likens financial literacy to an apprenticeship, with developmental stages that parents and children can go through together. Charts list the appropriate skills to master at four age groups: 5-8, 9-12, 13-15, & 16-18. Fold-out charts offer more detail: actions to practice each of the ten money skills, and other supplementary resources (books & websites). An allowance is not an entitlement or a salary. It is a tool to help you learn how to manage money. The more financially responsible you are, the more independence you will earn. Practical advice include setting family money values to live by, including children in all financial discussions, telling them the truth, and allowing them to take risks. And do not bail them out! As Godfrey puts it: It is easier to live with consequences when your child is 13 than when she/he is 25 or 45. If the skills and mantras seem overwhelming, she reminds parents that they don't have to go it alone; they should enlist the help of friends and family to act as money mentors for their kids. Godfrey writes in a supportive, reassuring manner that parents will appreciate. Raising Financially Fit Kids is a valuable resource that will help parents guide their kids in becoming responsible, confident, independent and financially secure adults. An excellent book to get kids interested in investing. Easy activities provide hands-on experience in reading stock tables, measuring risk tolerance, choosing mutual funds, and reviewing economic health. Bateman's clear, friendly language makes investing easy to understand for both kids and adults. Many myths, folktales, and other traditional stories contain a character called the trickster, who likes to tease, steal, or cause mischief. 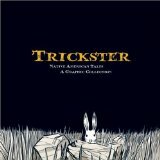 In this lively collection of Native American tales, the trickster, both human and animal, figures prominently. The comic-book format makes for a more engaging read, and the vibrant artwork ably convey the humour, sadness, or gravity inherent in each story. Some of my favourites include Coyote and the Pebbles, Rabbit's Choctaw Tail Tale, and How Wildcat Caught a Turkey. The strangest tale: Raven the Trickster. The strangest character: Horned Toad Lady. A girl named Keeper, her dog, and a seagull search for the girl's mermaid mother on the night of a blue moon. When their boat is swept out to see, Keeper realizes that sometimes, wishing isn't enough. Not quite as good as Appelt's magical first book, The Underneath. Keeper's story unfolds very slowly, one teeny tiny bit at a time. It turns one bad day into a lifetime of days, moving in and out of the characters' pasts. Mr. Beauchamp's memories are the most intriguing. Kathi Appelt's strength as a writer is her ability to weave the fantastical into the everyday, and her connection with the thoughts and feelings of cats, dogs, and seagulls. Her stories are like dreams that quietly draw you in and never quite let go. The irreverent and irrepressible djinni returns in an excellent prequel to Stroud's best-selling Bartimaeus trilogy. This time, Bartimaeus is working for a magician named Khaba, who is overseeing the construction of King Solomon's temple. Ordered to build the temple without magic, it doesn't take long for Bartimaeus to mess things up and get he and his fellow djinnis fired. They are reassigned to the more miserable job of hunting bandits in the desert. While there, Bartimaeus crosses paths with Asmira, who works for the Queen of Sheba. An assassin, Asmira is to kill King Solomon to prevent his impending attack on her country. She must also try to steal his ring, which houses an immensely powerful spirit. First signs of enemy action. Late-morning, I spot an imp sitting on a distant post-box, watching me scrub the porch. To my annoyance it is laughing hugely. Make a move for it, but it scarpers. Take the guise of a wasp and lurk among the camellias. Mid-afternoon comes. The garden is hot and drowsy. Spy three suspicious butterflies flitting over hedge. Check the planes. Yep, small foliots, arms flapping wildly. Wasp rises up behind them, shoots down out of sun, zaps them with Infernos, one, two, three. Burning butterflies crash-land in pond. Alert master to my triumph. She inspects charred fragments. Her scowl deepens; turns out they were her slaves, returning with valuable information. Another Spasm. An excellent reader's companion to children's and young adult books, with essays from children's authors, editors, teachers, and librarians. Some of the essays are funny, such as Trashing Elmo (parents attempt to keep crappy books away from their kids), and Unlucky Arithmetic (how to turn your child into a nonreader), while others are thoughtful and intelligent (see essays by Kevin Henkes, Kathleen T. Horning, and Virginia Hamilton). Author Naomi Shihab Nye has a lovely story about waking up with poetry. Compiled by editors Roger Sutton and Martha V. Parravano of Horn Book Magazine, "A Family of Readers" is a wonderfully enjoyable, must-read book.